US figure skater Adam Rippon made his 2018 Winter Olympics debut on Monday and did not disappoint. Rippon placed third in the men’s individual for the team event and left fans buzzing with what the analyst Johnny Weir called a “spellbinding” performance. Rippon then had a funny response about the Olympic experience, calling it “pretty awesome” and saying he would recommend it to others. 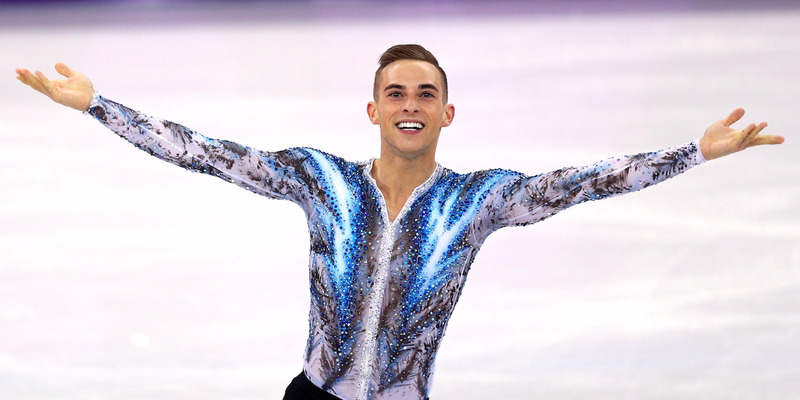 Adam Rippon made his 2018 Winter Olympics debut in Pyeongchang, South Korea, on Monday and did not disappoint. The 28-year-old star figure skater took part in the men’s individual in the team figure-skating event, finally taking the ice to show off the considerable hype that followed him into the games. Rippon dazzled on the ice, earning a 172.98, which initially moved him into second place before he fell into third. The NBC analyst and former Olympian Johnny Weir described the performance as “spellbinding” and “magnificent.” The fellow NBC analyst and former figure skater Tara Lipinski said she had chills. Speaking with NBC after his program, Rippon showed why he had become one of the biggest stars of the games. Not only does he excel on the ice, but his personality is outsize, witty, and startlingly normal, too. Asked about how the Olympic experience compared to what he imagined, Rippon had a funny response. “Andrea, it’s, like, pretty awesome,” Rippon said. “I highly recommend it. If you ever have the option, come to the Olympics – it’s, like, a fun time. Weir and Lipinsky were not the only ones impressed with Rippon’s performance, which earned the US eight points in the team event, keeping the Americans in the hunt for a medal. Rippon will be in the medal hunt these games, but he seems poised to become a star regardless.